Mental ill-health is common and anxiety the most common form. It may be caused by a variety of factors and present in different ways. There are five key types of disorder which have different diagnostic criteria and different treatment approaches. One in four people worldwide will be affected by mental ill-health at some point in their lifetime and anxiety disorders are currently the most commonly experienced mental health issue in the USA. It is estimated that more than 40 million adults (or over 18 percent of the population) experience difficulties every year. The sad thing is that while anxiety is often highly responsive to widely available interventions (both professional-led and self-help), less than 40 percent of those struggling with anxiety receive treatment. This means that that figure is likely to be even higher. We will all experience stress and some symptoms of anxiety during our lives and this is perfectly normal; even adaptable. Anxiety is an emotion and so can be experienced in varying degrees of intensity by different people. At one end of the spectrum it is normal and helps us to function; at another it can be extremely maladaptive and result in considerable distress for the sufferer. It is duration, intensity, and frequency that separate normal, functional anxiety from abnormal, pathological anxiety. Abnormal anxiety is where it has become disproportionate to the scenario that led to the feelings of anxiety; it is regarded as pathological anxiety when the intensity, duration, and/or frequency of anxiety are such that it the level of distress and chronicity means it has a significant impact on a person's daily functioning. This distinction is important as it is the impact on a person's life that moves anxiety to a disorder. 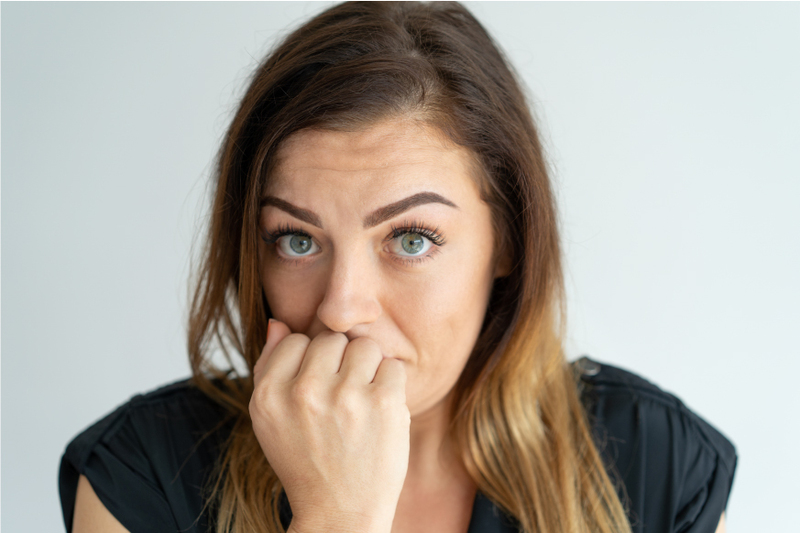 Problematic anxiety can be experienced in a variety of different forms and so disorders are categorized according to their different symptoms and recommended treatment. The manual that is used worldwide by mental health researchers and clinicians for classifying disorders is known as the Diagnostic and Statistical Manual of Mental Disorders (DSM) and the current revision in use is version five (DSM-5). GAD is one of the most common anxiety disorders but yet is difficult to diagnose as it doesn't necessarily have any of the distinct symptoms that other disorders have. If you have had persistent anxiety (more than 6 months) that appears to be widespread across all areas of your life, it is likely you would be diagnosed with GAD. With GAD, you are likely to feel anxious all the time to the point of feeling out of control. Unsurprisingly this can have a significant impact upon all aspects of your life. GAD is quite commonly associated with depression or other anxiety disorders. If you have OCD you will experience obsessions, compulsions or both. Obsessions - An obsession is an intrusive thought or imagery that repeatedly disturbs you and feels out of your control. Compulsion - A compulsion is something (either hidden or obvious) that you think or repeatedly do to relieve the feeling of anxiety, often about something bad happening. If you are diagnosed with panic disorder you will be experiencing regular panic attacks with no apparent trigger. The panic attacks can seemingly “come out of nowhere” and be extremely frightening; unsurprisingly you are then likely to worry about having another panic attack. They are generally triggered by association but just because you experience a panic attack in response to a certain stimulus, this doesn't mean that you have panic disorder. For example, you may have a phobia about confined spaces and experience a panic attack if you have to go in a lift, for example, but that does not mean you have a panic disorder. You may have panic attacks as part of another anxiety disorder but in diagnostic terms, the primary disorder may be another form of anxiety. Post-traumatic stress disorder (PTSD) is an anxiety disorder triggered by having experienced “out of the ordinary” frightening or disturbing life events. These events are often re-experienced/relived through nightmares and flashbacks, and will have a significant impact on the person's day-to-day functioning. Social anxiety disorder is also termed social phobia. It is quite common to feel nervous about social situations but if you feel overwhelming fear or dread about social (or performance) situations you may be diagnosed with social anxiety. This fear may be experienced before, during or after the event and may include a variety of social and occupational settings; often people are preoccupied with embarrassing themselves in some way.